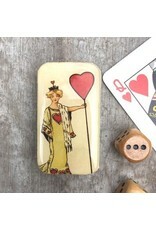 Vintage print of the queen of hearts on a glossy resin topped tin. 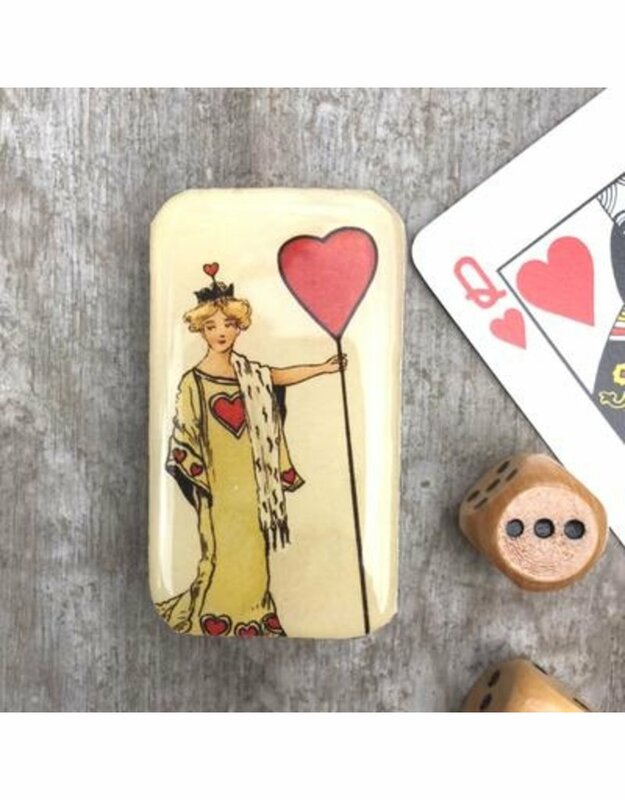 (from a vintage bridge game). Hand Poured resin, Small batch design.